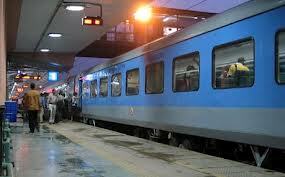 According to the recent Rail Budget Cancellation charges on your ticket is likely to be cost more. Government had proposed to hike the cancellation charges in all class like- Second Class,Sleepr Class,AC Chair Car,AC-3 Economy,AC -3 Tier,First Class,AC-2 Tier,AC First,Executive. Railway ministry had proposed to hike 50% in cancellation charges for RAC/Waiting list tickets related to all categories. Hike in Confirm tickets(Cancellation charges) is between 50 to 71% in different categories..For confirm tickets maximum hike is proposed in First Class and Executive category i.e. - 71%..
Below table display the current and proposed cancellation charges for all type of tickets.